I’d just carted off Beck back to hair academy and realised I hadn’t eaten anything all day because my body had been so ill-behaved all morning. Beck had earlier given me some awesome tips on a new wanky zine I was working on and I thought I’d pick up an el cheapo bite to eat before my parking meter money ran out just before heading home. Yep, this is tales of the amazing. At least, the morning was, but I figured I’d spare you all the gory details. I jogged down Smith Street, thinking I’d find a joint that would have rice paper rolls, all the while eating into my precious parking meter time. Living on a pauper’s wage, I can’t afford to be slapped with a ticket. The anxiety increased the further away I inched from my magical parking spot. 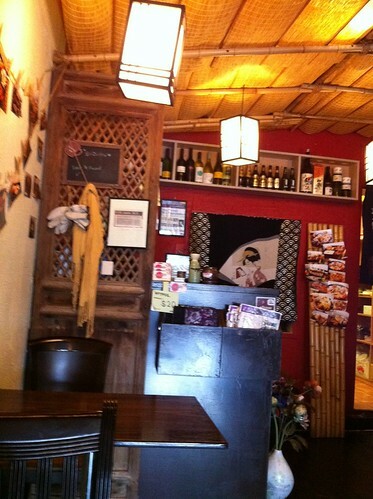 In desperation, I nipped into Shoubu, a small, but cosy Japanese eatery. 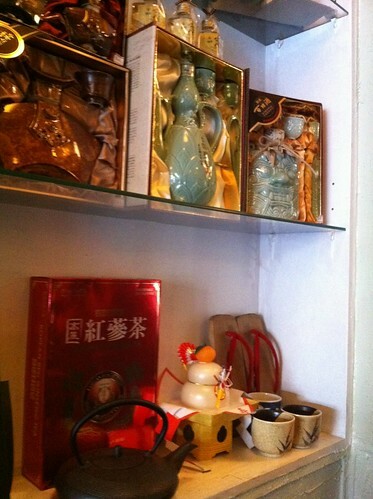 It was like being at uni again: I pulled out my wallet and looked at what I could afford on the menu and hoover down. 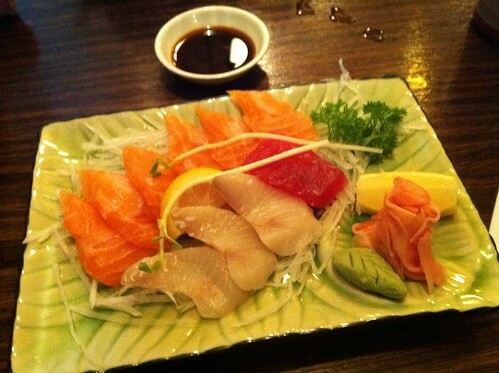 For the princely sum of $10.50, I chose an entrée serving of sashimi augmented with a bowl of miso soup. 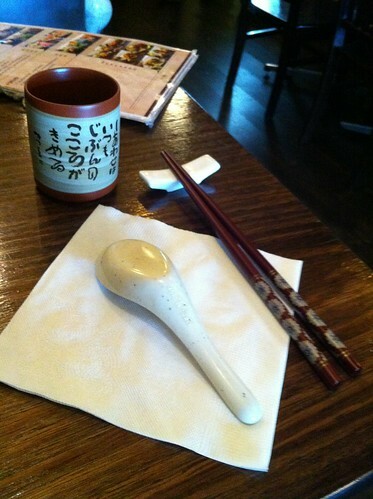 The pot of genmaicha was on the house and how gorgeous are the accompanying utensils? The sashimi was supremely fresh – though my main criticism would be that it was paper-thin and there was only one slice of tuna added as if an afterthought. Still, I’d go back and buy a main serve when more cashed up. Despite my fly-by visit, I did manage to take some covert ghetto snaps of its general cuteness on my phone. After hoovering down said food, soup and tea, I beat a hasty retreat to my car to safely discover that I hadn’t been slapped with a ticket. Those Smith Street parking Nazis are relentless, I tell you. This entry was posted in eatie-foodies dining out and tagged Collingwood, Japanese food, Melbourne, Shoubu on June 8, 2011 by gem.